To Empower and enlighten the Kingdom. To bring awareness of God's true function of the five-fold ministry. And much more! The embattled existence of Spirit-filled believers can only be sustained by the power of God. One of the means of accessing this sustaining power is through Spirit-empowered worship. If you desire to elevate your view of God, to express your love for God, and to create a sound that causes impact in the earth then this workshop is for you. It will examine the nature, purpose, and object of true worship. Moreover, it will speak to how every person’s role in the corporate worship experience, from layperson to Levite, is essential. Effective persons in ministry tend to have a clear sense of their calling which is discovered, confirmed, and nurtured­­­­­­­­­­­­­­­­­­­­­­­­­­­ within the context of the local church. Have you been trying to figure out your position of best fit in the Church? If so, then you are not alone. This workshop will invite you to wrestle with the nature, purpose, and the context of your calling so that you might be able to discern your place and space within the body of Christ. The New Testament encompasses several lists of spiritual gifts. Each list contains unique manifestations of the Spirit; thus, suggesting that gift diversity is required to build up, to unify, and to empower the body of Christ. With what varieties of spiritual gifts are you familiar – most of them, a few of them, a couple of them? 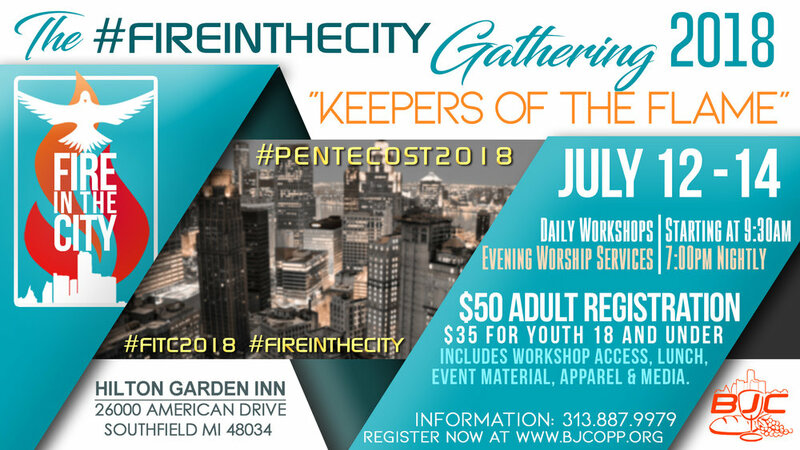 No matter what your answer to this question is, this workshop will increase your familiarity with and enhance your understanding of selected service, miraculous, and utterance gifts of the Spirit. Many Spirit-filled believers have ignored the invitation to love God with their minds. This has led to the creation of ecclesial communities characterized by great amounts of “zeal and emotion, yet without knowledge and intellectual prowess.” This posture of anti-intellectualism will be countered in this workshop by sketching a biblical portrait of the life of the mind. Moreover, this workshop will challenge you to enhance your exegetical competence, theological soundness, and Christian apologetic skill by using your God-given intellect. The appropriate use, skillful execution, and proper positioning of spiritual gifts require of believers correct understanding and sufficient preparation. In this workshop, we will begin both to unfold the five gifts that Christ gave to the Church at his ascension and to build a scriptural foundation for their tactical deployment. If you’ve ever had questions about apostles, prophets, evangelists, pastors, and teachers then please join us as we examine the biblical purpose, proper positioning, and precise placement of these continuing and necessary gifts of the Spirit. Questions about the legitimacy of the five-fold ministry gifts have been raised by the modern church due to the emergence of neo-Pentecostal groups who endorse dubious interpretations of scripture, promote unsound doctrines, and engage in questionable spiritual practices. In response, this panel will wrestle with some of the hermeneutical and theological difficulties associated with Ephesians 4:11, the New Testament text that introduces the five-fold ministry gifts. This panel will also investigate the nature of the relationship between the Kingdom of God, the church, and the praxis of the five-fold ministry gifts. Additionally, this panel will discuss some of the excesses and abuses of the contemporary apostolic-prophetic movement.